So the fly rod, as a beginner I would recommend a 9-10ft rod which is rated 6-7 weight. The weight is a measurement that fly fishing equipment manufacturers have put together to make choosing equipment correctly. For this set we will require a 6-7 weight line and reel to match. The rod can be from a 2, 3 or 4 piece set up this makes it easier to carry in vehicles etc. I would suggest a medium actioned rod which allows for reasonable timing to perform the casts. The reel is next and the lighter the better it should be able to hold the fly line and about 100ft of backing line. This allows hooked fish to be able to run and fight over a fair distance. The best options are now large arbor reels so the line can lie in loose turns to reduce line memory which causes the line to sit in coils on the water and will slow down your casting. Straight line on the water allows better control of your flies and will let you feel the takes much easier too. The line should be a weight forward floating line, there are loads of options in sink density but for learning a full floating line is best as it allows easy pickups and the task of learning easier. The weight forward option will allow the rod to load and flex easier to allow the beginner to cast easier and not get frustrated easily. As a newbie I would recommend buying one of the beginner fly fishing kits as these have been put together by manufacturers so they fully match and are perfectly balanced. There are some which have loads of extra equipment too for not much money so you can get into the sport fairly cheaply with a set up that works. Some of these fly fishing kits come fully made up too which means you can get started right from the start and not be worried about tying knots and setting up your gear. Thank you for your overview on kits for beginners. I have always wanted to try this hobby out to see if it was for me. I don’t believe in buying a ton of expensive equipment only to find that I don’t like something. I live by the inter-coastal waterway in Florida and have seen many people have success there. For $89, I think it would be worth a try. I’m sure I could find somebody who would love it if I find out it isn’t for me. Thanks again. Ernest you can get a setup for $89 no problem. It will not have all the bells and whistles of the top gear but it will provide you with a balanced setup to try out the sport to see if you like it before getting yourself something more substantial. Hey Ben the sport of carp fly fishing has really taken off these past few years. A coarse fish as you know but still puts up a great fight on fly fishing gear. New flies have been developed to entice more takes from these guys and its a sport I want to give a try to soon. 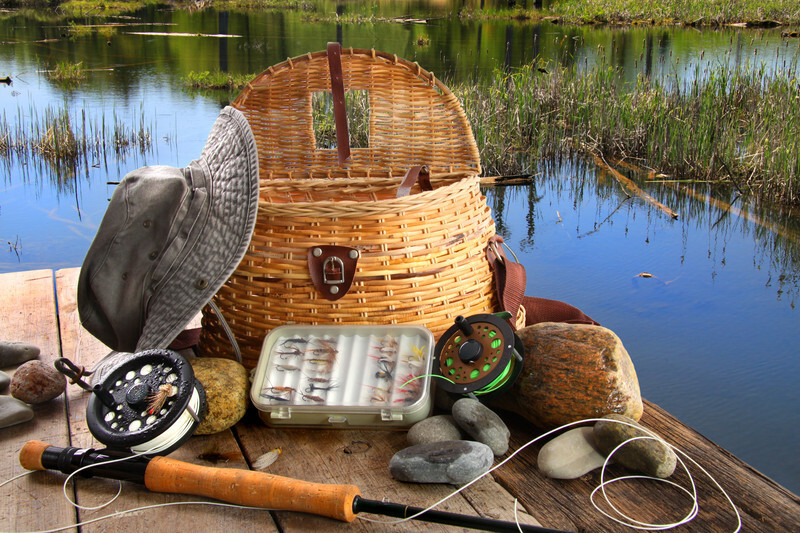 This is exactly what I need, a fly fishing kit that a complete novice like myself can use. I’m going on a trip to New Zealand soon and fly fishing is really popular there. I’ll be meeting up with a local friend who loves fly fishing, but I wouldn’t have a clue. I’m sure he’ll show me the ropes, but I want a kit that’s easy for me to use and get started. The kits you’ve recommended have really given me something to work with. Thanks. Ah Darren sounds like an amazing trip, the trout fishing there is supposed to be amazing. I would recommend getting a 9 foot 7 weight as it will cover many options. Thanks for the great recommendations! Fly fishing is something that has interested me for a long time, but it also seems so intimidating. I grew up in a family that did quite a bit of fishing, but it was exclusively with spinning rod and reels. I had no idea that there were complete “beginner kits” available for purchase. That makes one aspect (the equipment) a bit less intimidating. Hey Ryan, the manufacturers have been very busy creating decent combo kits to get beginners out fly fishing. It used to be you had to rely on the tackle shop to provide the setup and that it would do what was expected but unless the tackle dealer was an actual experienced fly angler there was a good chance it didn’t work as required. Now with the combo kits already balanced and set up as required you get a kit that can be used straight from the box. That means no knots to worry about, no working out which way to put the fly line on the reel, no working out the length of leader to use and even no working out which flies to use on the river. Hey there! This was just the post I was looking for. My daughter just completed a class on fly fishing. As a gift I wanted to get her a complete “kit”. I was really happy to see that I could get her everything she needs for under $100! Are the flies any good that come in these kits? I know that sometimes you can get a kit where the rod and reel are decent, but everything else in the kit is garbage. Is there one all around kit that stands out as having the best value and quality? Hey kmv, you need to look at the other post we did on combos. It has 25 combos reviewed and divided into three categories good, better or best. I agree some kits put in accessories that are weak compared to the rod and reel but there are a few on there that have nice accessories. The Wild Water deluxe combo is pretty good and has useable flies. Most of the top category don’t have any flies as these can be added for a few bucks anyway.